If you start your own business, or decide to set up as a freelancer, there is a chance you may have to start charging and paying VAT. 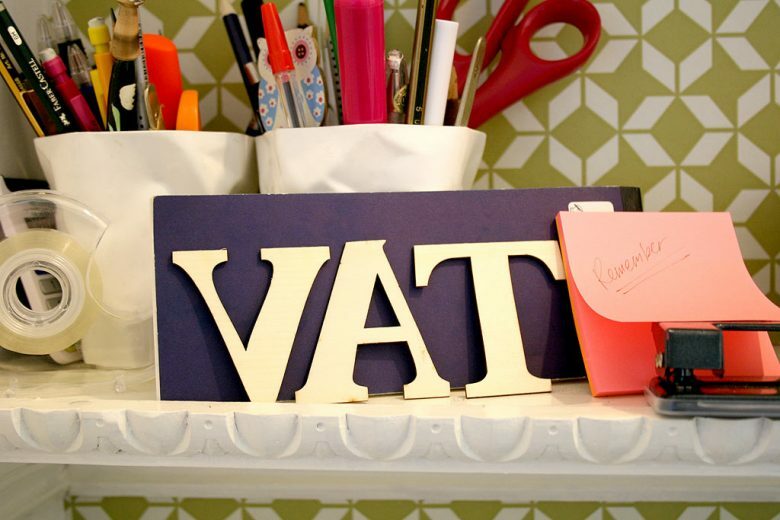 To help you understand what this may mean, Ruth Anscombe from Vanilla Online Accountancy has prepared a quick guide to VAT. The UK tax system is pretty complicated, and VAT in particular causes many headaches for small businesses. Here’s a summary of the key aspects of VAT to help you determine whether you should be VAT registered and ensure you are on the best VAT scheme for your business. VAT is a tax charged on the sale of most goods and services in the UK, usually at 20% of the total price of the item in question. Some supplies are exempt from VAT (such as medical services), but if that’s not the case then you must register for VAT when you meet certain conditions, the most usual being that your turnover in the previous 12 months has reached £79,000 or more. If you fail to become VAT registered when you should, HMRC will charge you the VAT you should have charged your clients and probably fine you as well, so it’s very important to be aware of the VAT rules. If your clients are not businesses, being VAT registered invariably means that you have to increase your prices which may make you uncompetitive, so it can be important to avoid VAT registration if at all possible. But for some businesses it is actually beneficial to register for VAT voluntarily before you are required to do so. If your customers are all VAT registered, voluntary registration means that you can claim back the VAT on your purchases without having to put your prices up, since your clients can claim back the VAT you charge them. Or if you supply ‘Zero Rated’ items, such as children’s clothes, registration means that you can reclaim the VAT you have to pay but you charge VAT at 0%. The Flat Rate Scheme is an option available to businesses with a turnover of less than £150,000. It is designed to make it less onerous to calculate how much VAT you owe HMRC, and can also end up reducing your VAT bill. Under the scheme, instead of paying the VAT you have charged less the VAT you have been charged to HMRC, you simply pay HMRC a percentage of your total turnover. The percentage varies depending on what your business activities are, but many small businesses find that the flat rate scheme can save them a considerable amount of money. The Margin Scheme is for dealers in second hand items, such as antiques, and enables VAT to be charged on the difference between what you pay for items and what you sell them for only. There are also special schemes for retailers. If you have got any questions or concerns about VAT, speak to your accountant to ensure you don’t make an error that ends up costing you money!